In this next ebook in the release of the Historical Atlas of World Mythology — Digital Edition, Joseph Campbell examines the role of the visual arts in embodying the beliefs and myths of the earliest modern humans. He shows that the cave paintings, rock sculptures, and other art that has come down to us from the dawn of the Stone Age express the very human impulse to give form to the great mystery of our existence. 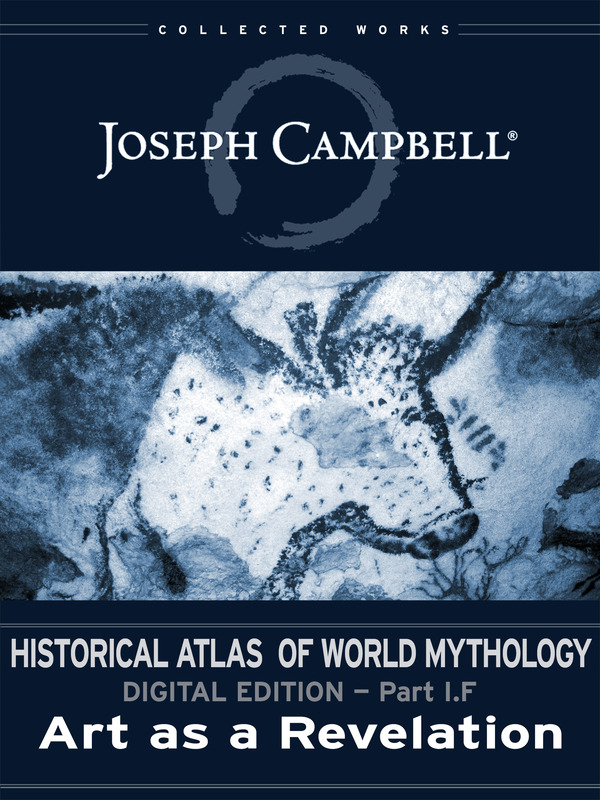 Joseph Campbell’s multivolume Historical Atlas of World Mythology, his magnum opus, marked the culmination of his brilliant career as scholar, writer, teacher, and one of the foremost interpreters of our most sacred traditions. Campbell described his work as an attempt to tell humankind’s “One Great Story” — our saga of spiritual awakening and the subsequent development of the many different mythological perspectives that have shaped us throughout time. His central theme is that our seemingly disparate spiritual traditions are neither discrete nor unique, but rather each is simply an “ethnic manifestation” of one or another of those “elemental ideals” that have forever transfixed the human psyche. For more information about the Historical Atlas, the table of contents, publishing schedule, myth-motif index, and other information, visit the Historical Atlas of World Mythology.